At the heart of the Catch Up® team are the wonderful Catch Up® Accredited Trainers. They travel far and wide, delivering courses for both interventions. Alison Haines has been a very valued member of the team since 2006, working first as a trainer for Catch Up® Literacy and now for Catch Up® Numeracy too! 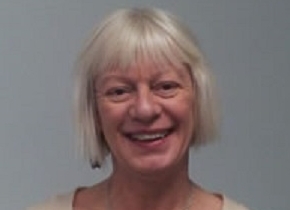 Since leaving the Islington Inclusion Team, she has worked as an ‘Achievement for All’ coach and as a ‘Maximising the Impact of TAs’ facilitator for the Institute of Education. Alison is now working for the London Borough of Tower Hamlets as part of their advisory Support for Learning Service, as well as delivering training courses for Catch Up®! It is a good job that our trainers are so calm and professional. They can deal, no problem, with any eventuality on the road!